I was hell bent on having Mexican food while in Los Angeles, even if it meant ditching my friends and going on my own. Luckily though, my friends were relatively good sports and came along, even if two of them didn't eat anything. We drove around in a neighborhood that looked kind of sketch and pulled into what seemed like a warehouse. The address was correct, but where was the restaurant? Turns out the restaurant is located inside the warehouse, which once inside is actually a stand-alone food court with several different eateries. Definitely not something you see in good ol' Florida, but I was game. The eatery offers casual counter service with no frills and no fuss. 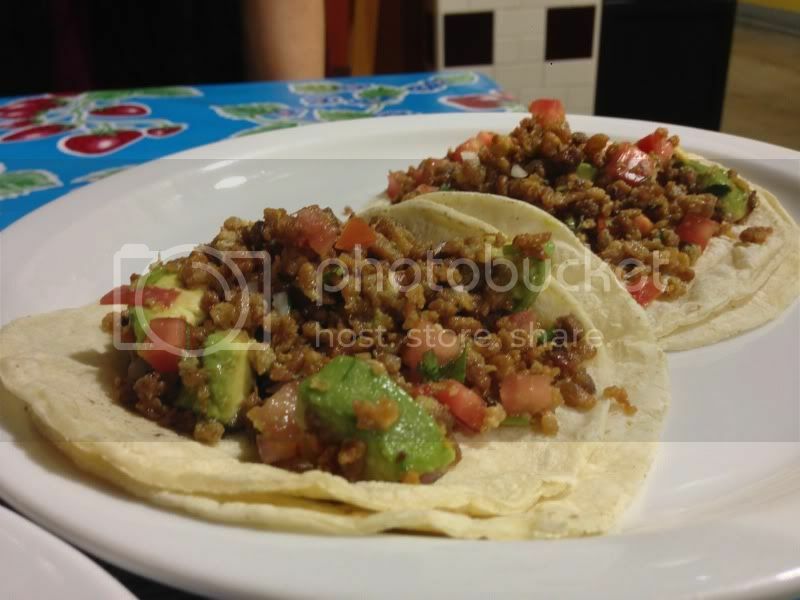 The eatery offers typical Mexican food from the Yucatan peninsula. I got a couple of different tacos, a tamal and a dessert. 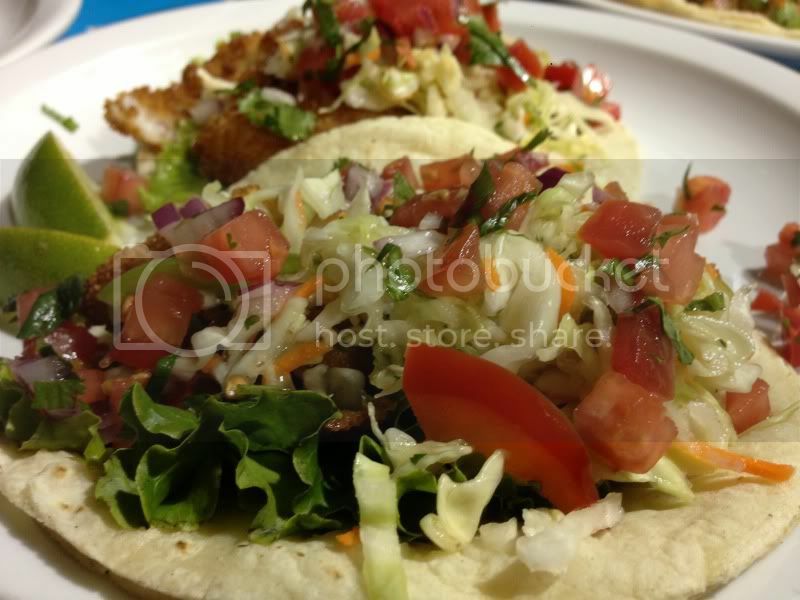 I tried that fish tacos, and ay Chihuahua were they delicious. The fish was fried, crisp and so fresh. 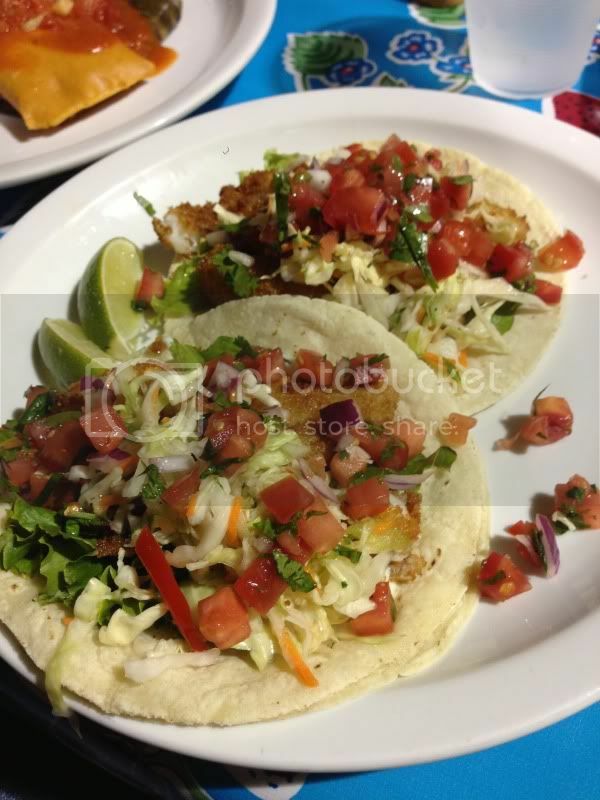 The tartar sauce, cabbage and pico de gallo was all refreshing and delicious. Best fish taco I've ever had. The simplicity and the freshness of the ingredients just blew my mind. I also got a taco de chicharron. Never would have occurred to me to mince up chicharrones and shove them in a taco, but man this is GENIUS. The chicharron tacos come with pico de gallo and diced avocado, which added a refreshing and creamy texture to the crunchy pork crackling. Both tacos were fresh and totes yummy. 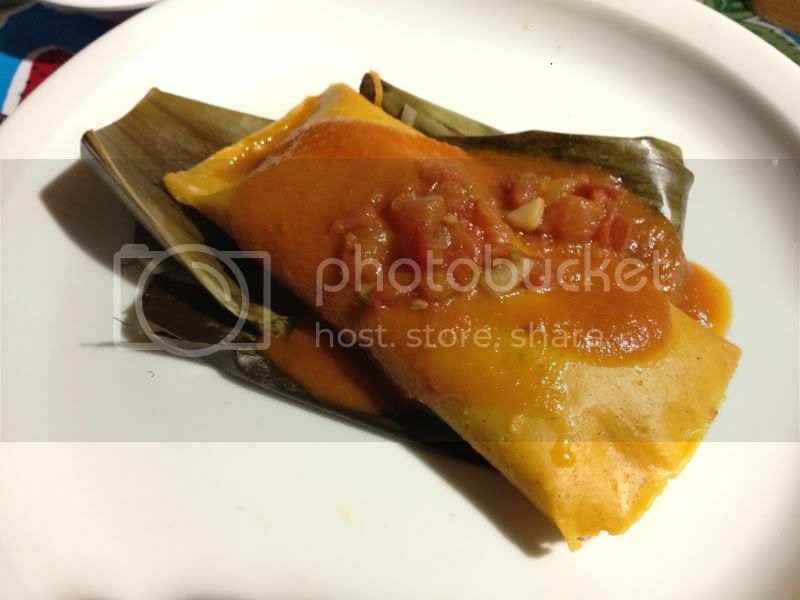 I also got a Vaporcito, a thin tamal filled with seasoned chicken that has been steamed in a traditional banana leaf. This was a bit disappointing, the masa was dry, under-seasoned and slightly gritty. 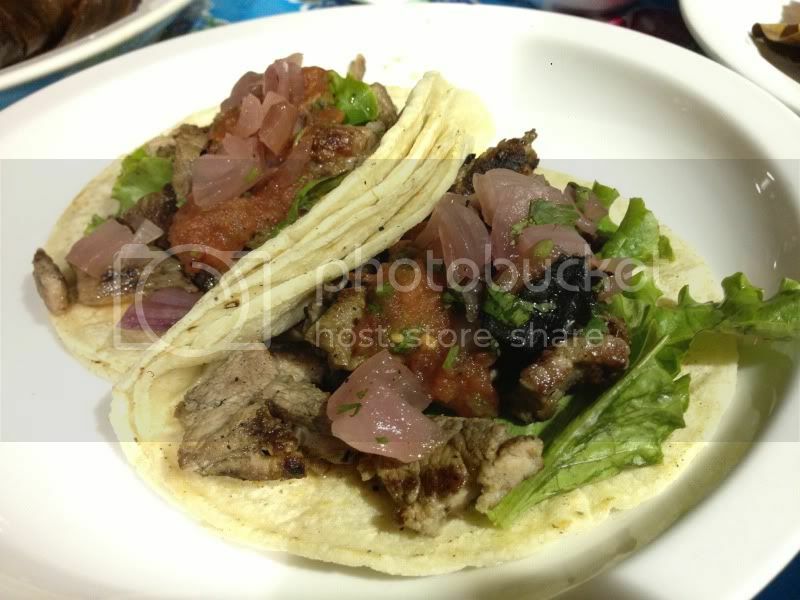 My friend for tacos the Poc Chuc which are tacos filled with marinated pork loin , black bean puree, lettuce, charred red onions, and chunky fire roasted tomato sauce served on steamy tortillas. The pork was so juicy, we were convinced it was actually steak, until I asked the cashier for some clarification. I had to try a dessert, I mean, I HAD TO. Once I did though, I kind of wish I didn't. 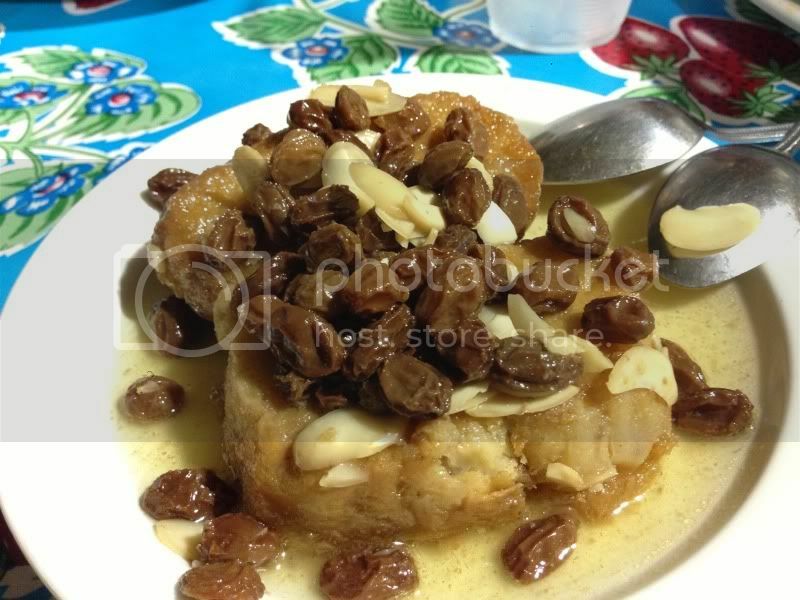 I got their Caballeros Pobres, which is basically a take on bread pudding. 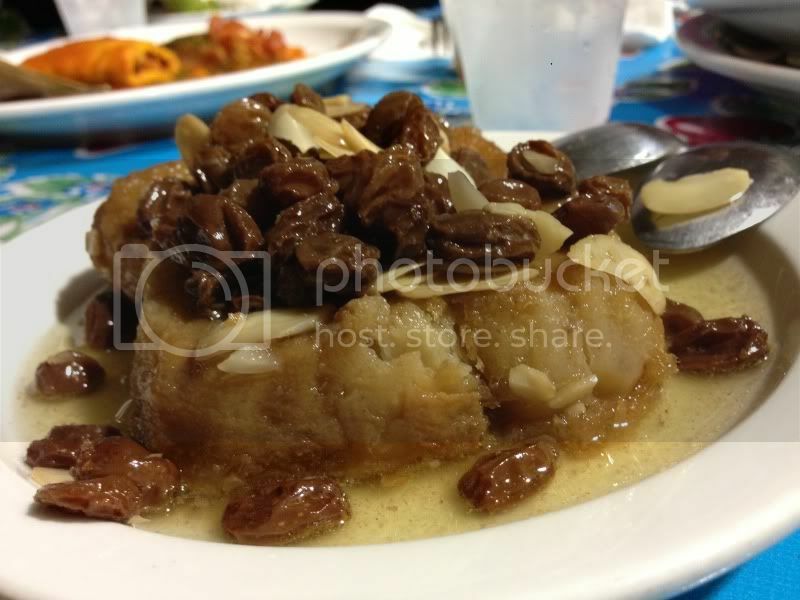 It's thick slices of toasted bread cooked, then completely drowned in an overpowering cinnamon-raisin syrup and topped with slivered almonds. Two of my friends who had come along for the ride and didn't eat mentioned that the raisins looked like rabbit poop, they were kind of right. The dessert wasn't bad, but by no means great. Way too many raisins for my personal liking and the syrup was ridiculously too overpowering.